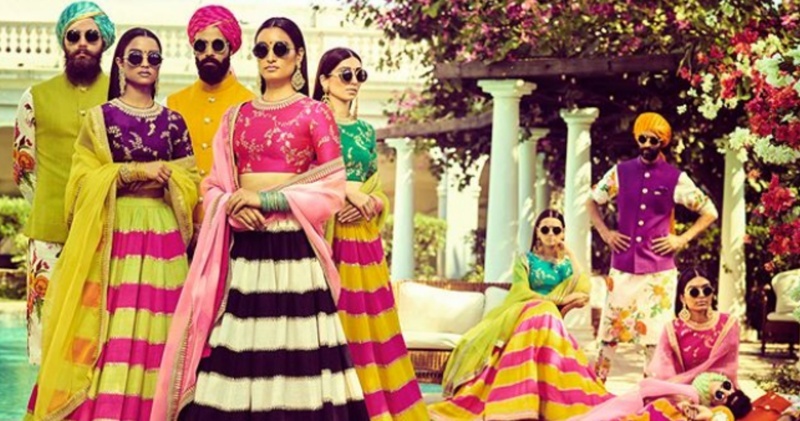 Sabyasachi Mukherjee’s Latest Collection Is All That A Summer Bride Needs! A few days back Sabyasachi Mukherjee announced that he’ll unveil his latest collection, 'Sabyasachi Spring Summer 2018 - An Endless Summer' exclusively on Instagram! And boy, it was worth all the wait! Tastefully shot at Taj Falaknuma, Hyderabad his collection has left us spellbound. The bright fluorescent colours, floral patterns, gorgeous one-tone lehengas and the use of khadi - any summer bride wearing it will turn heads all the way! P.S. In the whole collection we love the use of old world blouses and the retro sunglasses! It’s a proven fact that nobody does traditional as good as Sabyasachi, but talk about mixing & matching prints & colours, and he excels at that too! We are sure all you summer brides have atleast one piece shortlisted for your upcoming 2018 wedding!